RIL promoted, Reliance Retail Limited which slipped its Diwali launch is now expected to go live in the next 2-3 weeks. The Meswani brothers who messed up the launch plan are out and Manoj Modi is the new chief of Reliance Retail. Relliance model is simple, embrace the Chinese. I really hope, they won’t dump the seconds from chinese markets. Reliance Insiders have unveield the following blueprint for Reliance Retail. Each store to vary in size from 3,000-15,000 sft depending on the city or town. Much smaller than Pantaloon Retail India Limited’s Big Bazaar. Sourcing of goods from China, Thailand and Vietnam. Includes food and persihable items like fruits and vegetables as well. 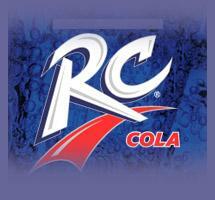 Reliance Retail has plans to launch its own COLA to compete directly with Coke and Pepsi. Who cares if Kishore Biyani is the master franchisee for Starbucks in India ? Reliance Retail plans to launch private label brands in other product categories like tea, foods, dairy products, biscuits and cosmetics. Their is lot of consumer demand and trust in private label brands which has led Reliance retail to think this way. So in short, Reliance Retail = Retail + Reliance FMCG + Reliance Micro Finance + Reliance AutoMart + Reliance Pharma. Sounds too ambitious as this is not your grandfathers India, Mr. Mukesh Ambani.